If you’re serious about getting jacked, ripped, and really taking your physique to the next level, you obviously won’t need anybody to tell you about the importance of a balanced diet and smart training routine. Now, we won’t discuss diet and nutrition in this article, as truthfully that would take all day in itself, so we’ll get to that another day. Instead, we’ll be focussing on the training, and assuming that your diet and nutrition plan is already spot-on. In terms of working out, obviously you need to find the best workout plan possible, and that is where things get a bit technical. You see, each person is different, so just because one person may have added several pounds of lean muscle by following a 5-day split, that doesn’t necessarily mean that you’ll get the same results by following that same 5-day split. Experts recommend changing your workout plan regularly in order to keep your body in an anabolic state, and that is where people struggle. Although it would be great if we could tell you that changing your workout plan every six months would guarantee you the best results, in reality, some people have followed the same routine for years, and continue to make gains, whilst others hit a plateau after two or three weeks. We all hit natural plateaus in training from time to time, yet rather than trying to get past them by doing the same thing we’ve been doing for weeks, months, even years, we should instead use this as a sign that something is wrong, and that a change is needed. 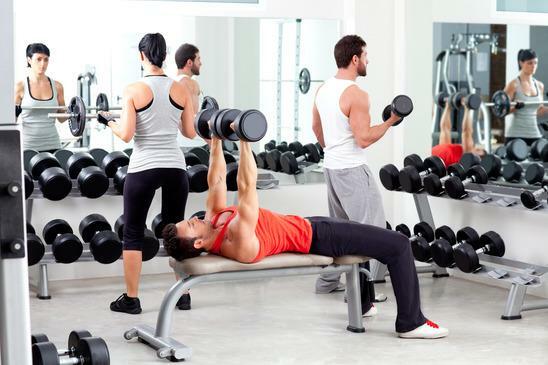 If you aren’t seeing improvements in your physique, or perhaps, if you’re losing mass, or simply can’t lift any heavier weights, or perform any more exercises, you may wish to think about changing your routine and trying something new for a few weeks. If you find yourself struggling with weights that, previously, you could easily handle, this is another clear indication that your body is fed-up with your current routine, and that a change may be required. Although you obviously can’t get stronger forever, generally speaking, you should be able to increase your lifts on a weekly basis, but if you find yourself struggling consistently with certain weights, again, go back to the drawing board. DOMS, or Delayed Onset Muscle Soreness, is a perfectly normal part of training, and is a sign that our previous workout was effective. Generally your DOMS should clear up after a day or two, unless you trained legs, in which you should double this time at least, and avoid stairs whenever necessary. If however, you are constantly sore and aching, even when you go easy in the gym, this could be a sign that your body has had enough of your current routine. You shouldn’t dread going to the gym, and you shouldn’t be bored whilst training, you should instead be having fun and enjoying yourself. If you find yourself feeling bored and uninspired, your workouts will suffer and that’s the last thing you want. If this is the case, look for a new and exciting form of training that you think you’d find more appealing. How long does it take to run a marathon? 3 vs 4 vs 5 vs 7 Day Split: What workout routine is best for you? Being a beginner I would always hit a plateau and working out hard and not seeing results is the worst you can face. I realized that the reason was that our body adapts to the workout routine and doesn’t grow because of it. The key to keep seeing results is to change your workout every 6-8 weeks.